On my quest to find the best healthy fats, I began looking for a good source of organic virgin coconut oil. That search finally ended in 2003 when I discovered Tropical Traditions coconut oil. I loved it at first taste and have been using it ever since. I have tried other coconut oils, but they have never come close to the quality I get from the Tropical Traditions brand. I love talking up companies that offer excellent health products and REAL foods to their customers. If you have read any of my pages in the fat facts section, you'll see how good organic virgin coconut oil is for you. Yes, coconut oil is a highly saturated fat. Yes, it is very good for you. No, I haven't lost my mind. People have forgotten that coconut oil used to be a significant part of an American's diet - along with butter, lard, and full-fat dairy products (insert horrified gasp here). Mind you, this was before the 1950's when heart disease was practically non-existent. 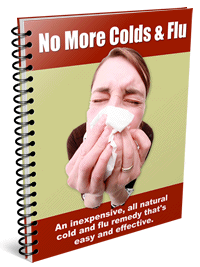 Many people probably assume that we stopped using coconut oil because studies showed it was harmful. The real reason the U.S. made the switch to polyunsaturated vegetable oils is because of World War II. What does World War II have to do with coconuts? Any history buffs might know or be able to figure it out. When Japan took over most of the South Pacific and the Philippines, the U.S. was cut off from its coconut supply. Vegetable oils were made to take the place of coconut oil. Once WWII was over, the vegetable oil manufacturers started their own war on coconut oil. Studies were done showing that coconut oil was bad for your heart. But those studies were done with hydrogenated coconut oils. Hydrogenated or partially hydrogenated oils of any variety contain lots of trans fats and are bad for your health. Organic virgin coconut oil has many substantial benefits - like a healthier immune system, cardiovascular system and digestive system. It supports a healthy metabolism, can increase your energy, and improve your skin and hair (see more coconut oil benefits). 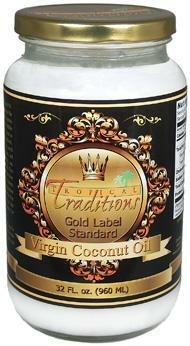 Tropical Traditions Gold Label Virgin Coconut Oil has been my coconut oil of choice for eight years now. It has a wonderful light coconut taste and smell and is certified USDA organic. The main reason it is my favorite oil (besides the great, fresh taste) is because it is made the traditional way by hand. When Tropical Traditions' organic virgin coconut oil became hugely popular, the company didn't move up to big-scale production. Instead, they employed many small-scale farmers to help meet the demands. The traditional method involves selecting only the best organic coconuts, grating them by hand soon after harvesting, removing the coconut milk by squeezing the grated coconut, and letting the oil separate naturally from the milk. The conventional way involves using harsh chemical solvents and high heat to get every last drop of oil out of the copra (the coconut meat). It is the cheap and quick way to make coconut oil. Companies also frequently hydrogenate the oils (which loads them with trans fats). This is why most brands of coconut oil you'll find in the grocery store are, well, garbage.